Close to 60 people who flew into San Diego May 17 on a Continental Airlines flight are now being contacted by San Diego County health workers with the warning that they may have been exposed to measles. The afflicted passenger, who has since been hospitalized, traveled from London to the United States on Contintental Flight #0005 landing in Houston. She then boarded Continental flight #1689 to San Diego. During the flight from Houston to San Diego, her symptoms worsened according to county health officials. Upon landing, the passenger was taken by ambulance to a nearby hospital. Now, 58 passengers with local addresses are being informed of the exposure. Fifty-five passengers with addresses outside the county are being contacted as well. "Measles is highly contagious and is easily spread by coughing, sneezing, or coming in close contact with an infected person," Eric McDonald, M.D., M.P.H., County Deputy Public Health Officer said in a county news release. "Anyone on the flight should watch for symptoms and contact their health care provider if they show any signs of the disease. Providers should be called in advance so that infection control measures may be taken to prevent exposure to others." Symptoms are cough, runny nose, red eyes with a red rash appearing one to four days later. 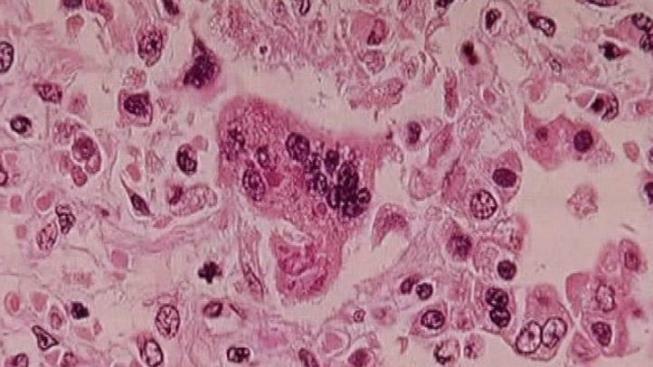 Measles can develop between seven and 18 days after exposure according to county health officials. Any passenger from the involved flights who is concerned about exposure may contact County officials at (858) 565-5255. For more information about measles, other vaccine-preventable diseases and the shots that protect against them, please call the HHSA Immunization Branch at (866) 358-2966.